The IWAICC had arranged a special 'June on Lough Ree' CIC scheduled from 3rd June until 26th June. Whereas some boats and crews would participate for the entire period it was expected that many would jump in and out according to their own circumstances. Arthur was in the latter camp but hoped to make it to Athlone for the first weekend. 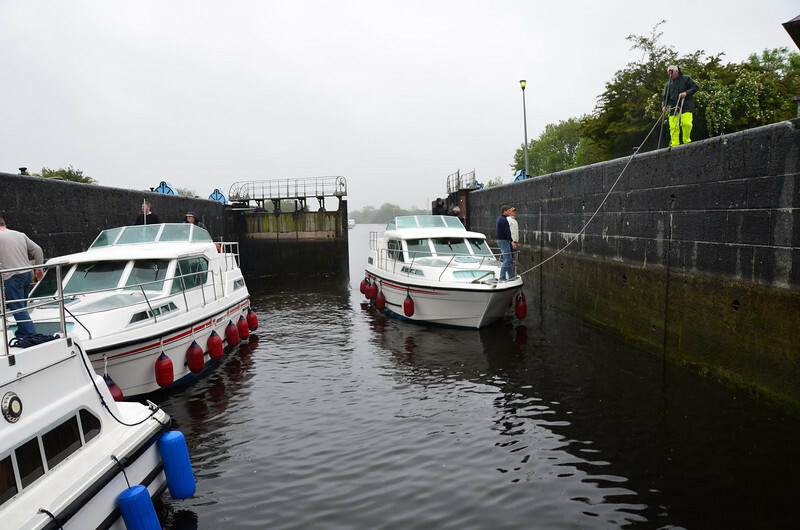 And so, on Sunday morning, 5th June, 2011, we left Portumna circa 11.15 am in the company of Cruidin who had just come through the swing bridge. We headed for Victoria Lock and gingerly made our way into the lock via the single open gate. The second gate was damaged and could not be opened!